Freshii is fast food’s new green machine. Forays into healthy fast food have led to some of the restaurant industry’s most embarrassing failures (see McDonald’s McLean Deluxe, Burger King’s Satisfries and Pizza Hut’s The Natural). The common wisdom is that when consumers want something quick, they want it salty, fatty, cheesy, sugary or any combination thereof. Accordingly, when Matthew Corrin began searching for healthful, convenient food while working long hours for Oscar de la Renta back in 2004, he had low expectations. But he was pleasantly surprised. The notion that people in other cities might be searching for similar healthy options led Corrin to launch Freshii in 2005. With zero food-service experience, he opened his first unit in Toronto. Within two years, he had nine stores and began franchising. Now the concept is growing at breakneck speed, with more than 160 units in 12 countries and 120 more in the pipeline for 2015. The secret, Corrin says, is that Freshii isn’t tinkering with burgers or subs to make them more healthful. Instead, the company offers salads, wraps, rice bowls and soups that can be customised using sauces, spices, proteins and healthy fats like avocados and walnuts to add flavour. 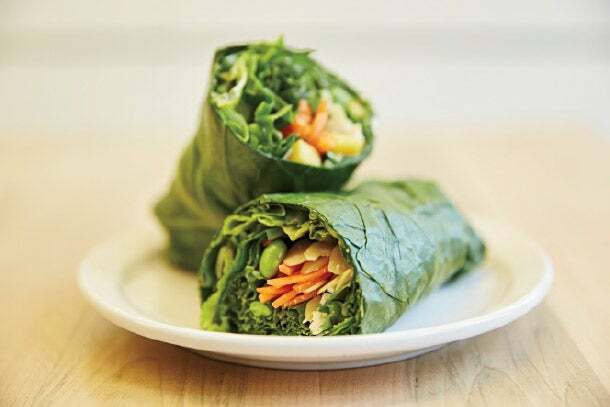 Not that too many menu items need modifying – options like the Buffalo Salad, Teriyaki Twist Bowl and Thai Lemongrass Burrito are already pretty well-designed. Corrin believes Freshii succeeds because it hits a sweet spot with younger consumers. “Increasingly, our customers and franchisees are Millennials, which are a great target demographic,” he says. That Millennial appeal has enabled Freshii to become a global brand. “The conversation about how to live healthy is happening among young people in Colombia, in Sweden and across the world. And that’s really cool,” Corrin says. But Corrin’s mission is to expand beyond a niche healthful-food market. He points out that Freshii has grown faster than Starbucks, McDonald’s and Subway did in their first years, and he doesn’t see why his concept can’t be as ubiquitous as those brands. Hello, I found this information for you: "Can Fast Food be Healthy? One Franchise is Proving the Point and Profiting". Here is the website link: https://www.entrepreneurmag.co.za/advice/franchising/franchise-news/can-fast-food-be-healthy-one-franchise-is-proving-the-point-and-profiting/. Thank you.